HA NOI (VNS)— A three –year project to help Viet Nam develop intelligent agriculture techniques, in response to climate change, was kicked off on Friday in Ha Noi. The project is being operated by the Ministry of Agriculture and Rural Development and the Food and Agriculture Organisation. 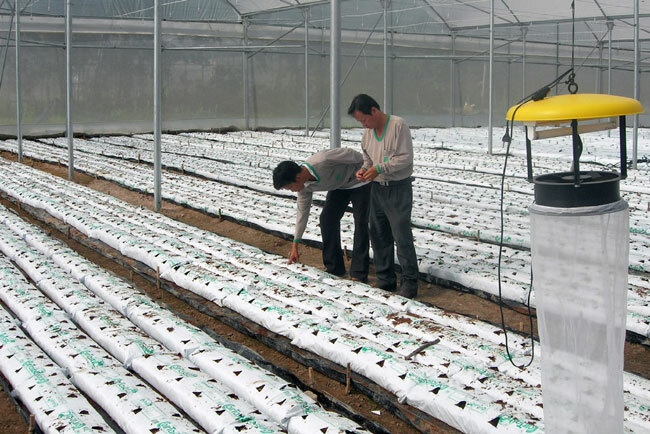 The project, called "Enhancing nationally-appropriate-mitigation-actions (NAMAs) readiness – building capacity in integrated food and energy systems in Viet Nam" is valued at over US$ 770,000, including $700,000 funded by One UN via the Food and Agriculture Organisation (FAO) and $70,000 from the Vietnamese Government. The representative of the organisation in Viet Nam, Jong-Ha Bae, said that FAO would provide technical assistance in developing NAMA strategies in agriculture, improve the work of technical experts and policy-makers, and improve coordination through establishing a NAMA working group and annual plenary meetings. Further, he said Viet Nam has urgent needs to address the impact and sources of climate change as it effects agriculture. Agriculture not only suffers from the impacts of climate change, but 43 per cent of the nation's greenhouse gas emissions are attributed to the agriculture industry, according to the Second National Communication Report submitted to the United Nations Framework Convention on Climate Change, Bae added. Further, Bae said it was time to review and re-strategise past and existing efforts in responding to climate change in agricultural and rural development. Also, the report on responding to climate change in agricultural and rural development sectors, published last year, indicated that "limited capacity and lack of coordination" remain challenges in carrying out tasks under the National Target Programme on Responding to Climate Change, he said. Deputy Minister of Agriculture and Rural Development Tran Thanh Nam noted that the project was expected to contribute to the Vietnamese Government's target of reducing greenhouse gas discharges from the agricultural sector by 20 per cent by 2020. NAMAs, is an integrated, national scale mitigation project that allows potentially large-scale emission reductions through aligning national socio-economic development goals into preventative activities.